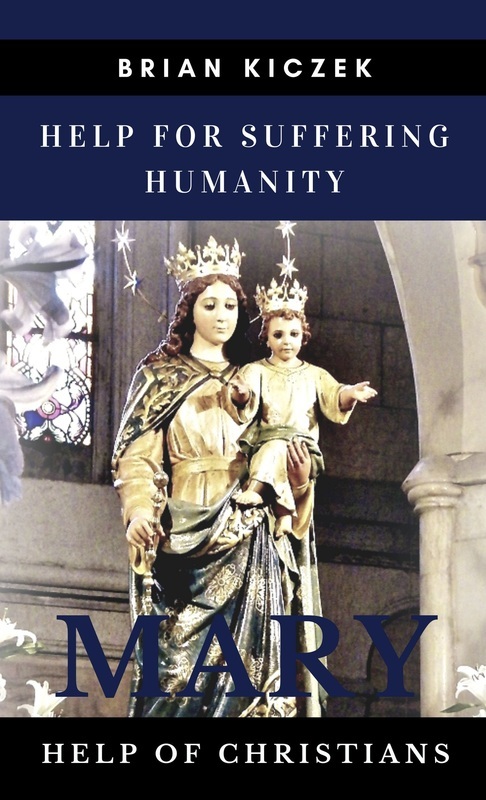 Help for Suffering Humanity - Mary Help of Christians by Dr. Brian Kiczek D.C. This new book by Dr Brian Kiczek provides a timely reminder of not only the role our Mother Mary has in the life and times of Christians throughout the world and throughout history but also the magnificent gifts of the Eucharist and Confession. It seems that in these troubled times, arguably now more than ever before, we need recourse to all three. Dr Kiczek reminds and encourages us to turn to Jesus and Mary with confidence and to trust in the Mercy of God through Confession, the Grace of God in the Eucharist and to allow Mary our mother to lead us to both through that most powerful devotion she has given us - The Rosary. This book is truly inspirational and highly recommended. The book can be purchased in either paperback or PDF Ebook edition from Hope and Life Press. The feast day of Mary Help of Christians has been celebrated in Australia since 1844 but the history to this day dates back to the start of the 1800's. Napoleon Bonaparte had jailed Pius VI who died in jail. When Pope Pius VII was elected he too was jailed by Bonaparte, who kept him prisoner at Fontainbleau. The military eventually forced Bonaparte to release the Pope and on 24 May 1814, Pius VII returned in triumph to Rome. Twelve months later the Pope decreed that the feast of Mary Help of Christians be kept on 24 May.